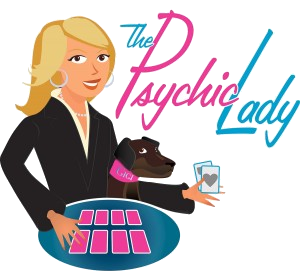 Ana discovered she was psychic at the age of eight as the result of a near death experience. In the weeks following this event she started having premonitions. Ana has been working as a professional psychic since the age of 17, predicting the outcome of elections and sport events. Throughout her psychic career Ana has read for high profile celebrities, politicians and prominent businessmen both in and out of the country on a moments notice. Prior to her becoming a full-time psychic, Ana worked in her family's successful business in Michigan and lived on the islands of the Bahamas. During her time there she jet-setted around the island and enjoyed meeting the founder of Home Shopping Network, Roy Spears, and all of the HSN celebrities including George Meyers and Merv Griffin. Although she enjoyed the private parties, yachts, private planes, helicopters, and modeling on TV for Home Shopping Network she decided she would rather use the gift God gave her to help others. Ana embraced her psychic ability as a way to enrich peoples lives as she believes this is a God given gift that should be shared. She feels that this is her destiny. In addition to taking several daily appointments, she works six days a week and has consultations scheduled through out the year. Ana has a radio show in the US where she takes calls from listeners live and is asked to make personal predictions on current events. Additionally, she taught classes on psychic ability at local community colleges in the Detroit area. England has always embraced Ana and she considers it her second home. When in England, Ana always frequents China Tang at The Dorchester and spends time with the owner David Tang and other celebrities such as Kate Moss, Naomi Cambell, and Shirley Basey. She has always been drawn to England and its history. Ana has a spiritual and psychic connection with the United Kingdom, more than with any other country that she has visited in Europe. © Ana's Metaphysical Center™ LLC 2019 Proudly powered by WordPress | Theme: Sydney by aThemes. Urgent and Emergency appointments will be scheduled immediately and will take place according to the Appointment Fee chart below. For additional schedule and rates please see the payment chart. All appointments are cash only. Please send payment in terms of cashiers check or money order made payable to Ana’s Metaphysical. This includes all phone readings and office appointments.